Why use SysKit Monitor to audit your Windows servers? Use SysKit Monitor to audit and monitor user activity on Windows servers. 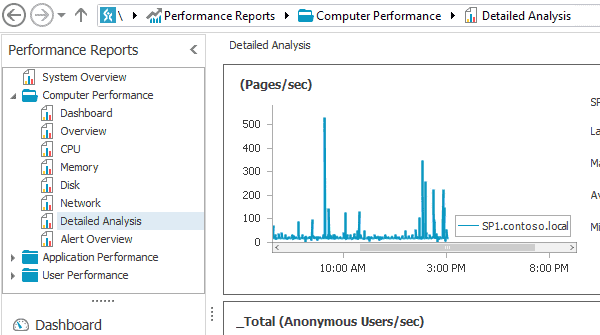 Get detailed session logs for selected users and discover users’ total time spent on the system in each session state (active, idle, remote, and disconnected). Get an instant overview of the statuses of all your Windows servers. Determine CPU and memory usage per user or application. Examine network statistics, including speed, uploads and downloads by user, network traffic, and more. Track application usage by user, server, or time period. Monitor the total time users spend using a particular app. Determine the most-used applications, number of application instances, and concurrent application usage. Audit all log-on events and failed logon attempts on your Windows servers, and block possible intruders. SysKit Monitor immediately detects possible security breaches and protects your system by automatically adjusting firewall rules. Monitor server, user, and app performance in real time. View the applications currently running on Windows server and watch an end user’s live experience. Receive real-time alerts to avoid and stop potential problems at early stages. Overcome employee idleness with user activity monitoring. Keep your server inventory organized with inventory snapshots. Never find yourself over- or under-licensed with license usage reports. Receive real-time alerts and troubleshoot important issues faster.